MANILA -- Task Force Bangon Marawi (TFBM) chairperson, Eduardo del Rosario, on Friday announced that a total of 32,000 qualified residents of Marawi City will receive livelihood assistance amounting to PHP20,000 per family in the first week of April. In a news conference, del Rosario said residents of Marawi's most-affected area would get an additional PHP53,000 worth of financial aid. "On April 6 and 7, we are going to start giving the livelihood and transitional package of assistance to all residents of Marawi," he said. "As of now, based on our profiling, there are 32,000 qualified residents. 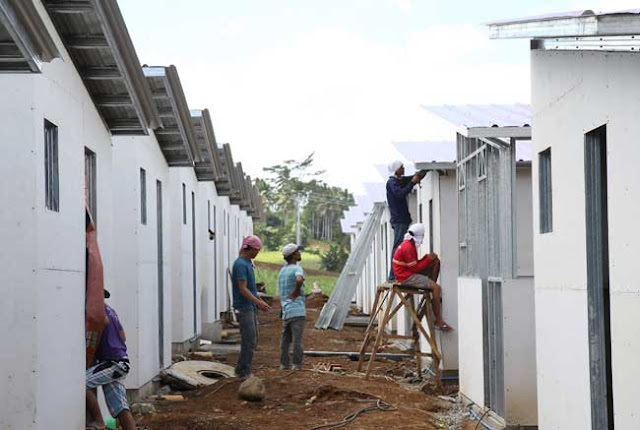 All these 32,000 residents will be given PHP20,000 (worth of) livelihood assistance," he added. Del Rosario said the Department of Social Welfare and Development will spearhead the provision and distribution of livelihood assistance to Marawi residents.